A full page print ad for one of the many publications Shimano advertises in. 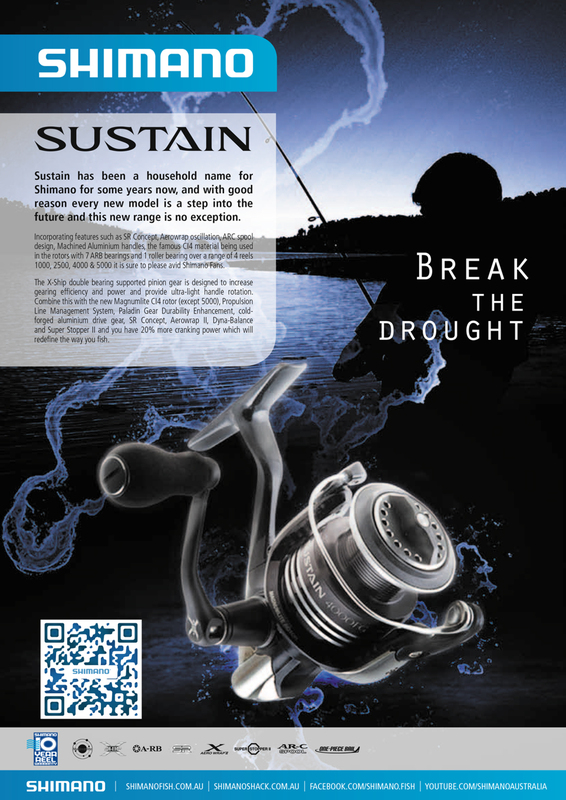 The brief required that I come up with a new concept to help sell the latest Sustain fishing Reel. The release of the new model coincided with some unusual wheather patterns across Australia, bringing the country out of the worst drought in recorded history. I had been hearing reports by many of the Fisherman coming back from trips especialy to the Northern Territory, about the sheer abundance of Barramundi and other eatuary and offshore species. Working alongside a new designer we produced several concepts and came up with a handful of possible solutions to put forward to the new Marketing manager. As all above the line advertising had been produced and managed by an outside agency, the design was required to comply with their original styling and layout.